Gratis NOLA! : Happy Hump Day with Fun on the Point, A Night of Bacon, and Great Music 'Round Town! Happy Hump Day with Fun on the Point, A Night of Bacon, and Great Music 'Round Town! 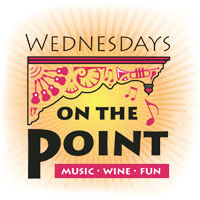 The Wednesdays on the Point concert series continues in Algiers and runs through July 17th from 6:00 to 9:00 p.m., and of course, admission is FREE...Tonight head to the Algiers Ferry Dock (200 Morgan St.) for Vivaz plus Paky Saavedra - remember you can take the ferry over for free - it's a beautiful ride across the river! Click the above link for complete concert series info! There's great music this evening on Frenchmen Street tonight at d.b.a. (618 Frenchmen) - with an early and a late show. Come check out The Tin Men at 7:00 pm with no cover - And then it's The Stooges Brass Band at 10:00 pm - cover's only $5.00! Have fun in Mid-City when you head on over to Chickie Wah Wah (2828 Canal) for Arsene DeLay Tom McDermott at 8:00 p.m. And be sure to come hungry for your sammich!! And there's more fun in Mid-City over at the Banks Street Bar (4401 Banks)! Come on out for The Major Bacon CD - Release Party at 10:00 p.m. with opening band The Parishioners at 7:00 p.m.!! *This CD Release Party will be a great evening of Blues and bacon. Cleaver & Co. are providing gourmet bacon from locally raised pigs for us to create some VIP Major Bacon BLTs and a special batch of praline bacon to be given out at the party. The mixologists at Banks Street Bar have concocted special bacon-themed cocktails and shots just for the occasion. The phenomenal chefs at Wakin' Bakin' are going tantalize your taste buds with some of their delicious bacon-inspired creations! 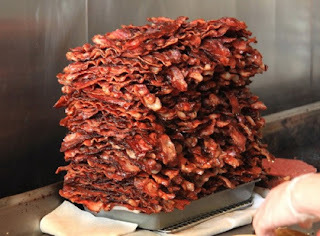 Plus, we’ll be giving out bacon-themed door prizes and we’ll have some delicious bacony surprises! You can never get enough of the bacon and no cover!! Looking for some dinner and then some music for dessert? Rock 'N Bowl (3016 S. Carrollton) can help you out! Get an entree' over at Ye Olde College Inn and then get a half price ticket to the show right next door at Rock N' Bowl.....Get on your dancing shoes for the Gal Holiday and the Honky Tonk Review tonight at 8:30 pm! !